Great Caesar's Post! » Blog Archive » Announcing prizes for the Fight Cancer raffle! Announcing prizes for the Fight Cancer raffle! After a couple of weeks of mostly silence, a flood of raffle donations have come in, and believe me when I tell you it’s a stack of really awesome stuff. Not only would your donation help support cancer research and treatment, it might nab you one of these prizes! 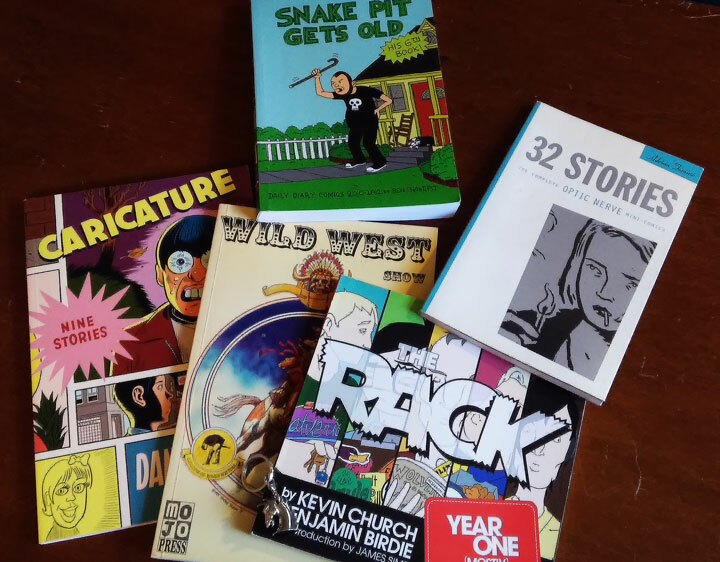 An Indie Comics bundle, with titles including The Rack: Year One (Mostly), 32 Stories (an Optic Nerve collection), Caricature by Daniel Clowes, Snake Pit Gets Old (by Austin creator Ben Snakepit! ), and the Wild West Show anthology (signed by several of the artists and writers!). Oh, and I threw in a Dark Horse keychain for good measure. Most of these books were donated by pal Tina Brackins. 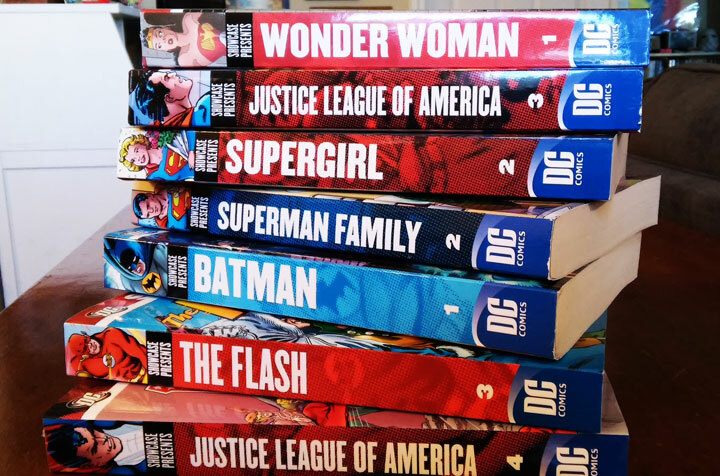 DC Showcase Presents collection, which you can see is a nice stack of goodness. One lucky person will get all of these books! We can thank SJ Mueller and DC Universe Online for this prize, as well as this next one. A collection of mini Wonder Woman bookmarks will come with this, too. This is really, really great, and would be a fantastic addition to any comic book fan or gamer’s collection. 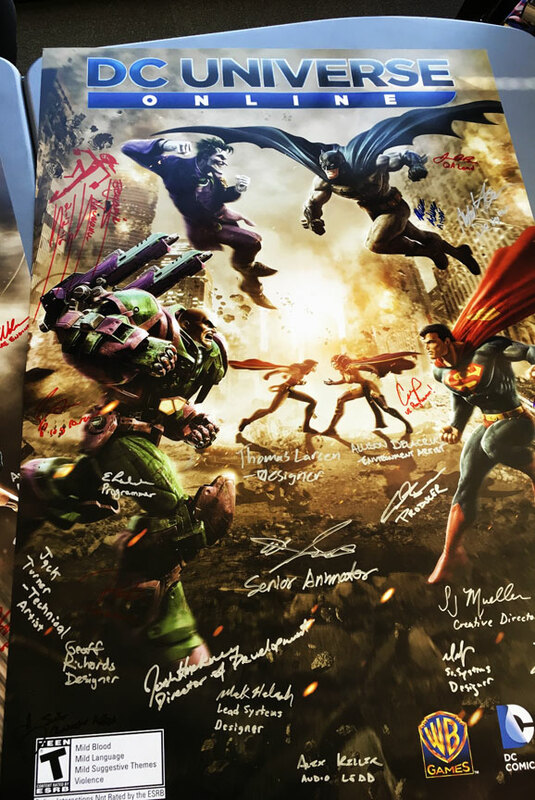 As you might be able to tell, these are posters for the DC Universe Online MMO, signed by each member of the development team! These make for a very unique prize, and depending on the number of entries these might be split among two donors, or they might go to one entrant. 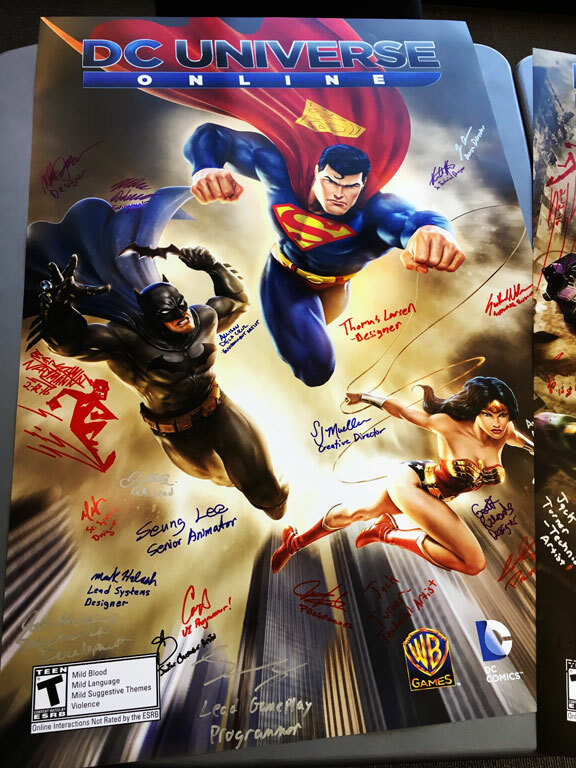 Thanks again go to SJ Mueller and the dev team at DC Universe Online. OK, people, hold on to your butts — this next prize is a big one. 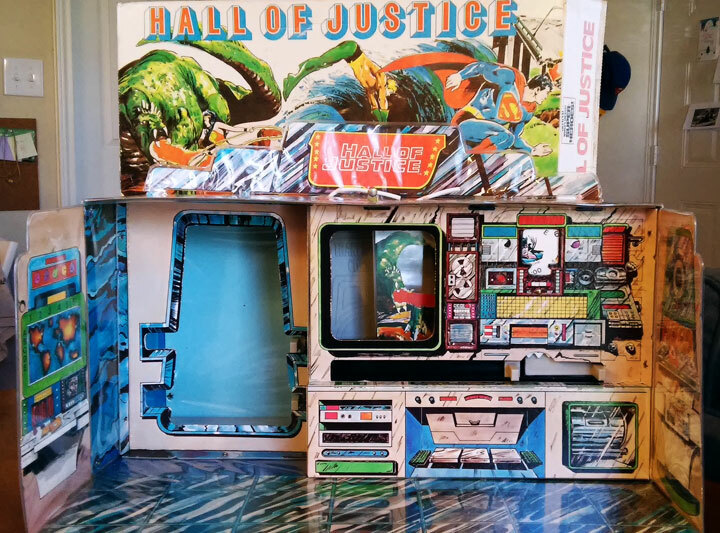 Your eyes do not deceive you; that is a beautifully preserved Mego Hall of Justice! Generously donated by the inestimable Rob Kelly, this 1976 playset is gorgeous, and 99.9 percent complete (all that’s missing is the conference table accessory). It even includes the mini-catalog it originally came with for other Mego toys!The outer walls of the Hall of Justice feature images of Superman, Wonder Woman, Aquaman, Batman, Supergirl, Green Lantern, and Green Arrow. As you can see, it also comes in its original box, which is amazing. I’ll update this post as soon as additional prizes become available. Remember to donate to one of the following organizations, and you’ll be entered to win one of these awesome prizes!